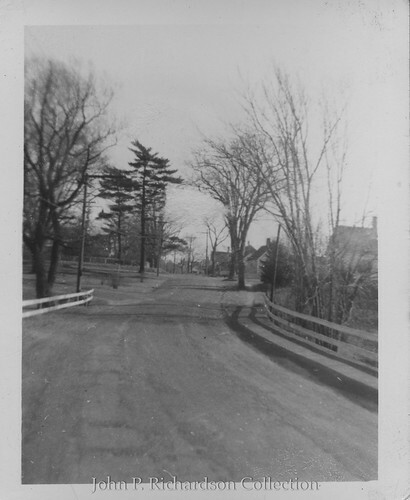 As discussed in Part 1, the diaries of Carl Burr (1884-1861) provide a glimpse of how Hingham was changing from a largely rural community to the suburb of today during the first half of the twentieth century. As with transportation, the entries chronicle changes seen in how the town valued and used its open spaces. Carl Burr was an avid outdoorsman. His year was measured by the fishing and hunting seasons. 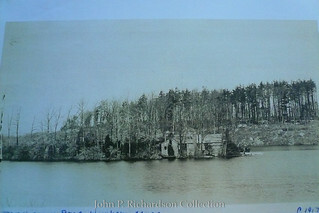 His entries through the 1910s and 1920s spend much time describing many places in Hingham available for hunting and fishing. He mentions hunting pheasant and quail on Turkey Hill, rabbits near Popes Lane and Pleasant Street, foxes in the High Street area and spending early mornings in Septembers in blinds awaiting the chance to shoot ducks in the Home Meadows. In the Spring he spent time fishing for trout and mackerel at Triphammer and Accord Ponds or casting a line off of the Leavitt Street bridge over the Weir River near his home. 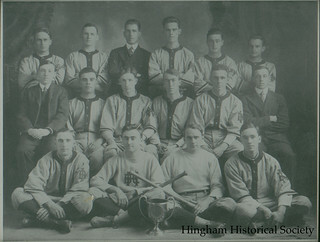 He helped found the Hingham Sportsmen’s Club (HSC) in April 1932, which held monthly meetings at the G.A.R. Hall along with shooting contests and field days in many farms in town. But even before the Club was founded, his journal entries reflect a change in both the rural nature of the community and the types of wildlife available and allowed to hunt. Many of his entries refer to the lack of luck in finding anything during local hunting trips, particularly birds on trips up Turkey Hill. He stops referring to duck hunting in the Home Meadows after 1923 and instead goes on hunting trips to places on Cape Cod or in New Hampshire instead. With the town evolving into suburbia, regulations were put in place banning hunting in most areas. An entry on April 7, 1949 says he marked the 50th anniversary of his first bird hunt by taking the gun given to him by his father down to the Weir River though he notes shooting anything has been illegal there for the past 10 years. 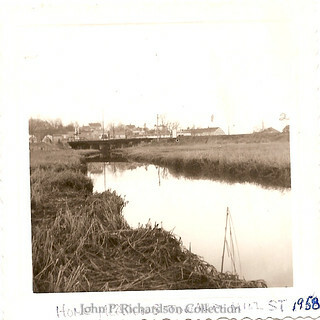 By the late 1930s fish are becoming so scarce in Hingham’s streams that he helps raise funds for the HSC to purchase trout and other fish from local fish farms to stock Hingham’s rivers. This only solved the problem in the short-term and the practice was discontinued by 1950. In November 1960, Carl Burr was one of several owners of land in the Home Meadows who sold their acreage to the new town Conservation Commission to help preserve the land as open space. 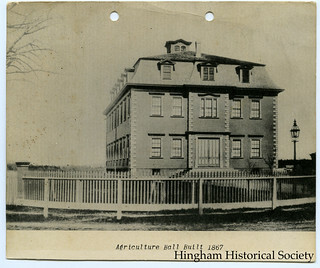 Open space changes in Hingham can also be summed up by the use of the Hingham Agricultural and Horticultural Society’s properties across from his house. As the years passed, however, fewer agricultural activities took place on the grounds, amateur town teams disbanded and school teams moved to the fields used today. To follow baseball, he becomes a fan of the Boston Braves, attending many their games in Boston, or listens to them on the radio (and later television). By the time he became custodian of the Hall in the 1950s, the grounds were largely abandoned and only town elections and a few other civic events occurred in the building. The Hall was torn down a few years after his death in May 1961, replaced by the Hingham Public Library.